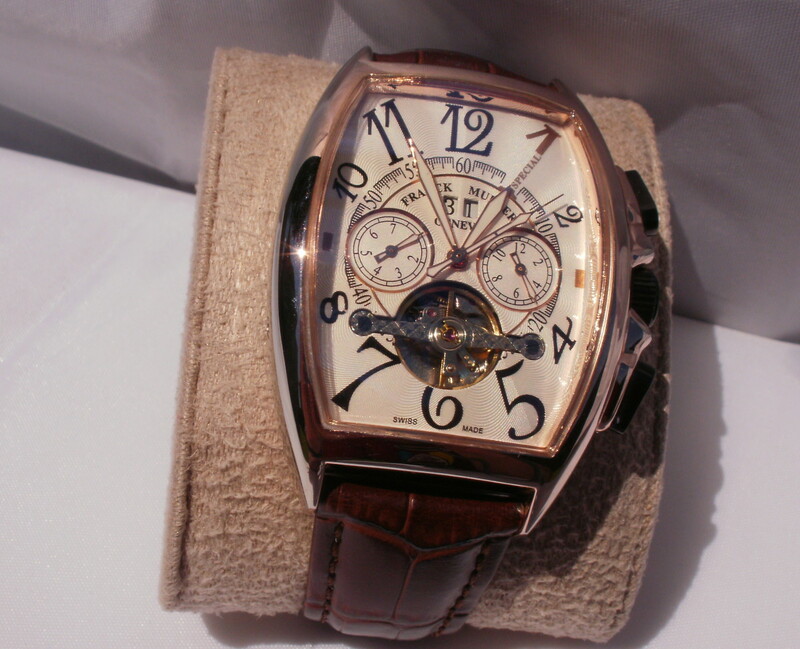 I was on the hunt for a flashy timepiece in the ten to fifteen-dollar price range. This is prime Curren territory and I soon found a watch that caught my eye. 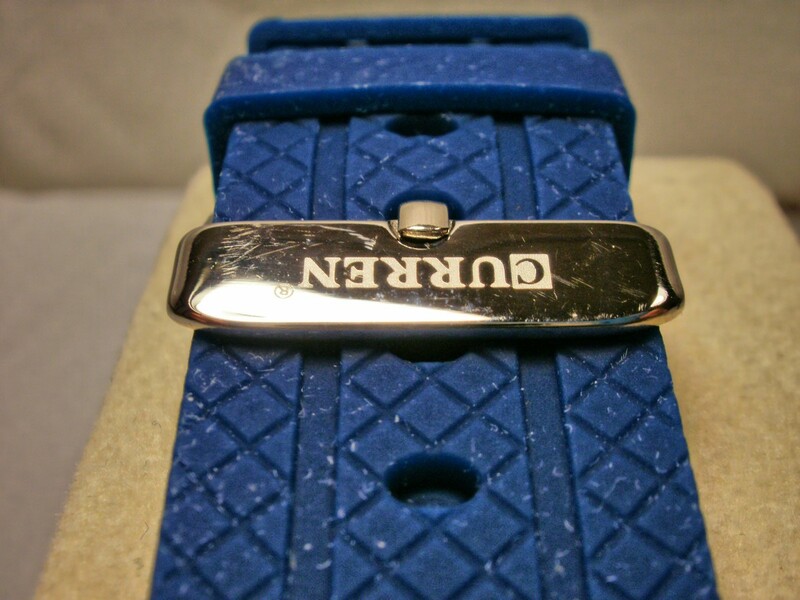 I purchased the Curren M-8143 from a vendor on DHgate. The watch arrived ahead of schedule, adequately packed in a plastic sleeve and bubble wrap. This is a large timepiece, measuring 52 mm from crown to crown. It is 14 mm thick and weighs in at 92 grams (3.26 ounces). 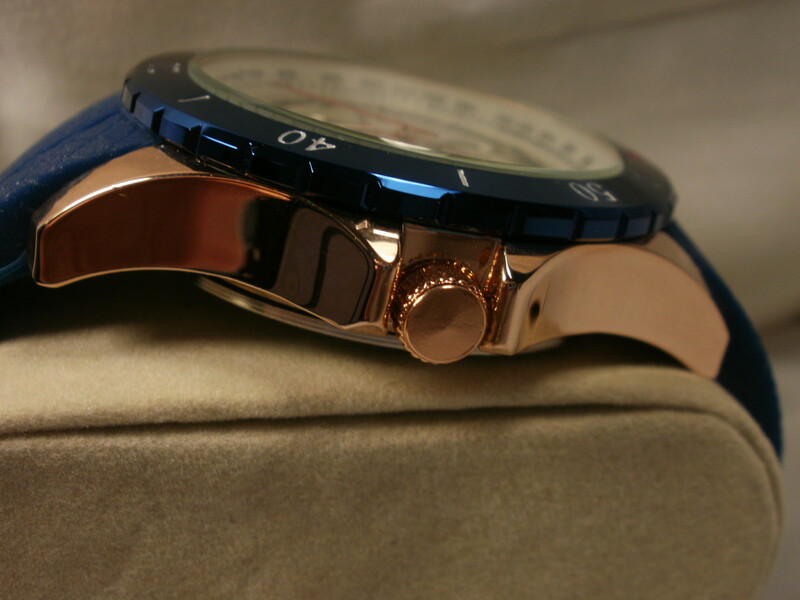 The width of the watch’s strap measures 24 mm, narrowing to 20 mm. Its shiny gold colored case is composed of stainless steel. For those that like to twist knobs and push buttons, a decorative crown on the left side and two spring loaded pushbuttons will provide nonstop entertainment. 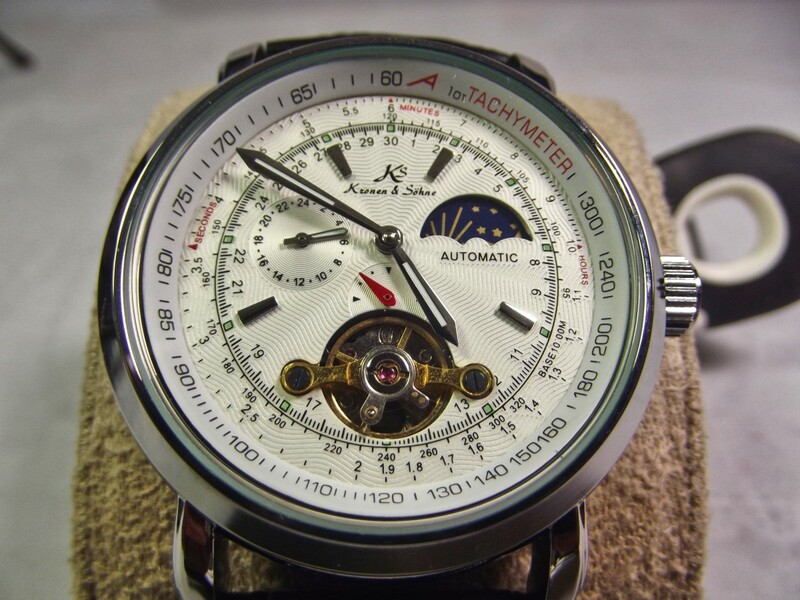 This watch utilizes a quartz movement originating from Japan. The working crown, when fully extended, allows adjustment of the time. The halfway position is used to set the day of the month. The dial is white with black accents. A small window displays the day of the month and two of the three decorative subdials are rimmed in silver. A glass crystal rises slightly higher than the surrounding bezel. The M-8143’s band is composed of thick, soft and flexible silicone which is colored to match the timepiece’s bezel. 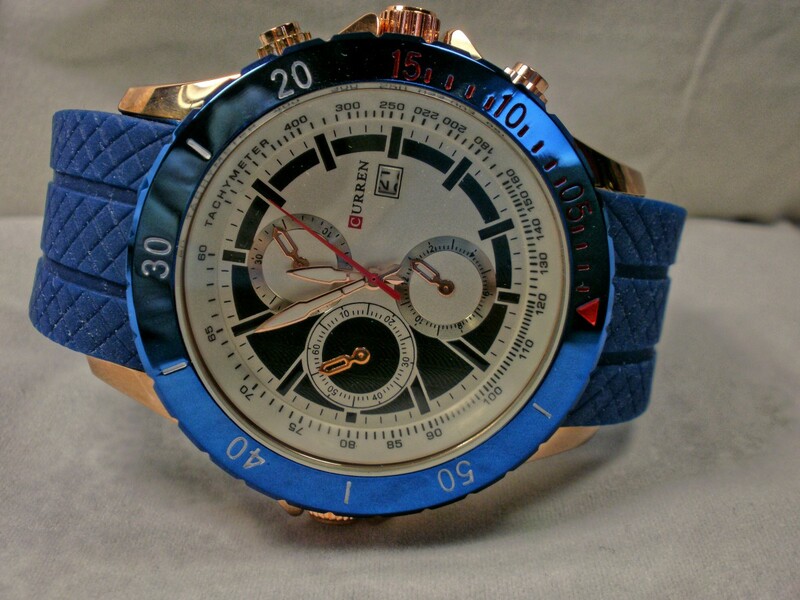 This watch is available in blue and black. 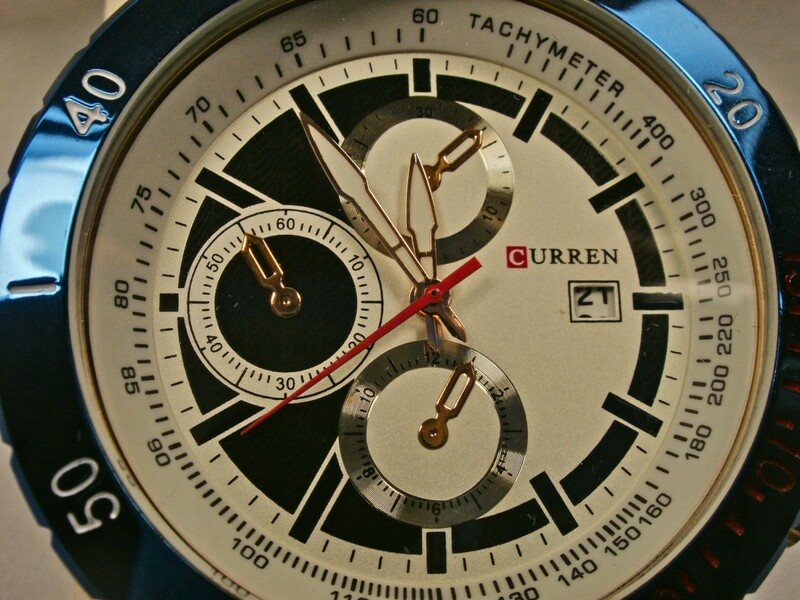 Those that find the Curren M-8143 to be a bit too flashy might be interested in my review of the North N-6009 Sport Watch. 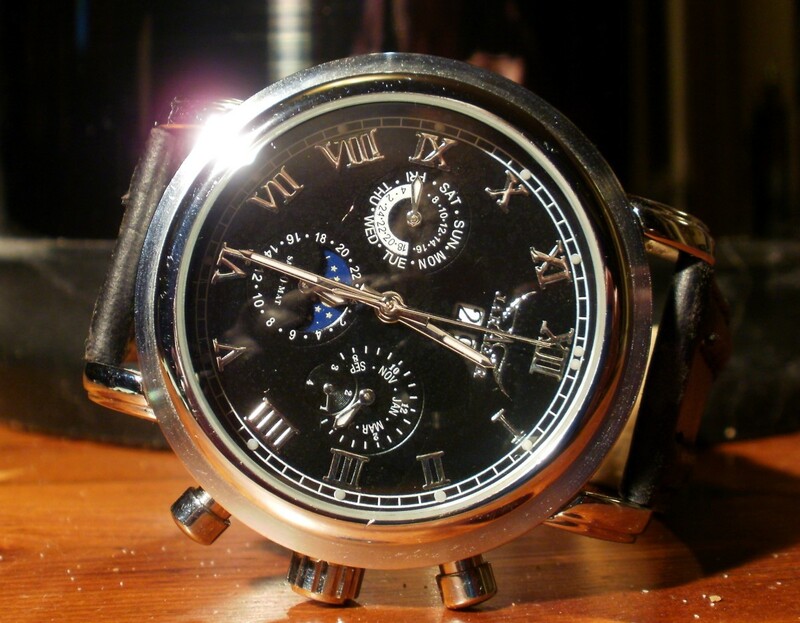 It can sometimes be difficult to ascertain the manufacturer of Chinese branded watches. I first attempted to do so by looking up the owner of the Curren trademark. According to Trademarkia, this particular trademark is still available. I could purchase the American rights for $199.00. Sadly, the Canadian trademark would set me back almost five hundred dollars. 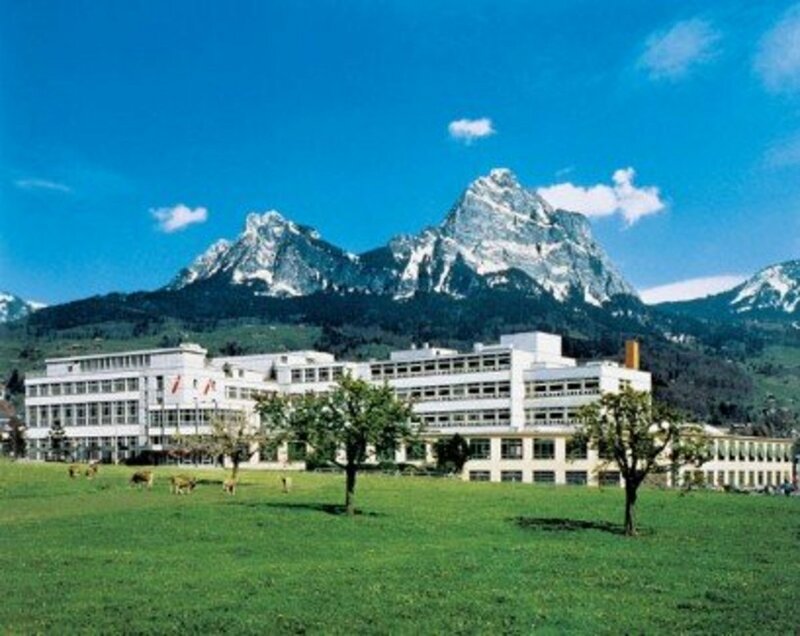 The Made-in-China.com product directory lists Chinese manufactured goods available for sale and names the factories that assemble them. 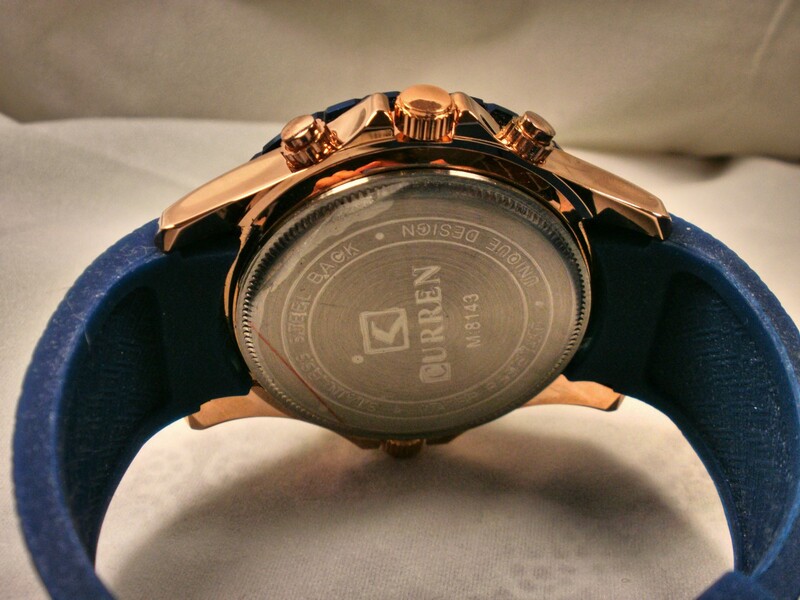 At present, several factories located within Guangdong, China manufacture Curren watches. Among them are Shenzhen Timesea Technology Co., Ltd and Guangzhou Yuan Xin Long Metal Co., Ltd. 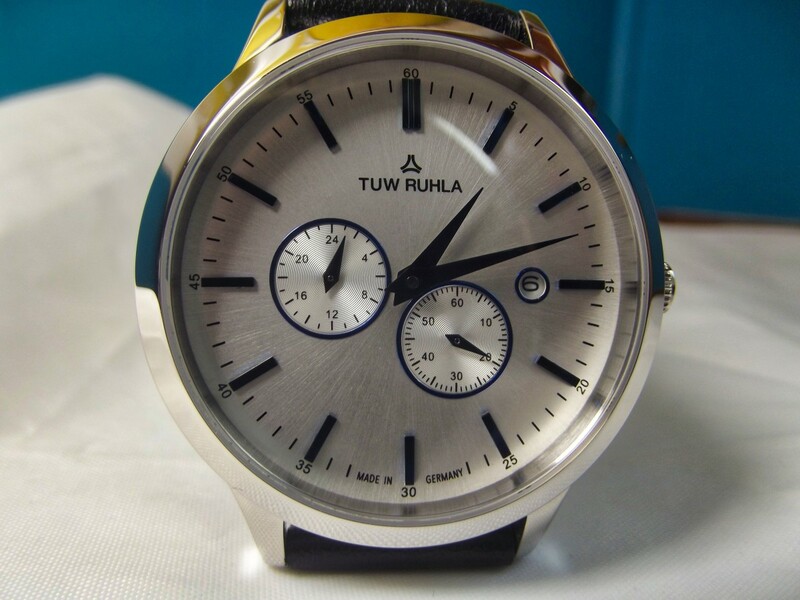 Wholesalers purchase large quantities of these watches. They, in turn, sell smaller lots of each model to retailers such as Curren.com, ebay vendors and Walmart. The M-8143’s case is large and very shiny. Strangely, the two crowns utilized in this model are of slightly differing size and neither are centered correctly between their guards. While this does not effect operation, it slightly detracts from the timepiece’s visual appeal. The dial’s design is quite impressive. I especially appreciate the decorative subdials that appear so real I almost expect their pointers to turn. 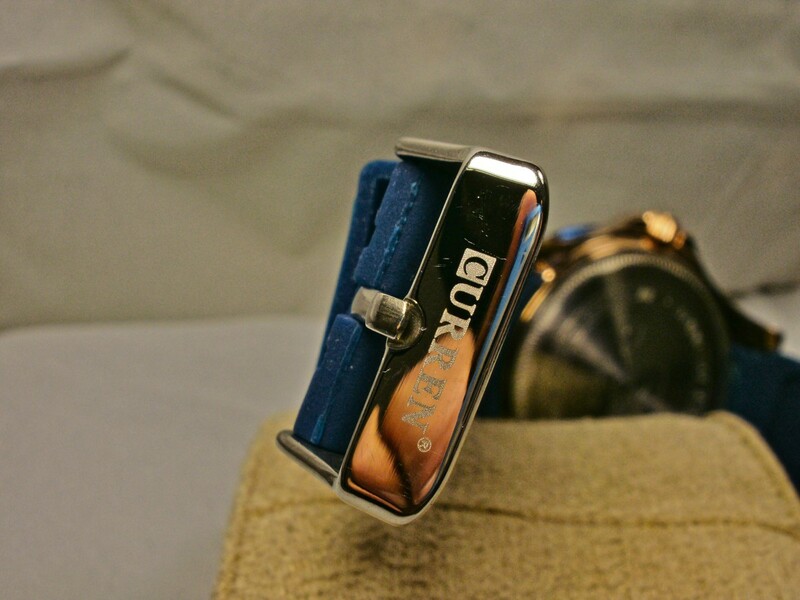 Curren’s coordination of color throughout the dial, bezel and strap works extremely well. 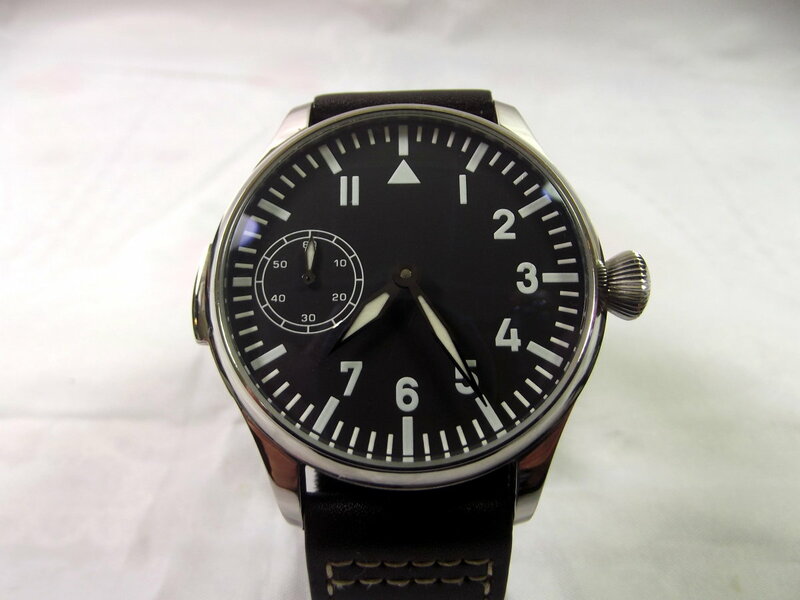 This watch utilizes a quartz movement and, therefore, is very accurate. Because the unit I purchased proved to be defective, I could not test the ‘day of month’ function. When the crown is extended, and turned to adjust the time, the hands move more freely than ideal. Sometimes they will shift slightly when you reinsert the crown. This suggests the movement is of poor quality. The day of month is set by extending the crown halfway and turning clockwise. This works fine but whenever I attempt to return the crown to its closed position, it retracts to the middle position. 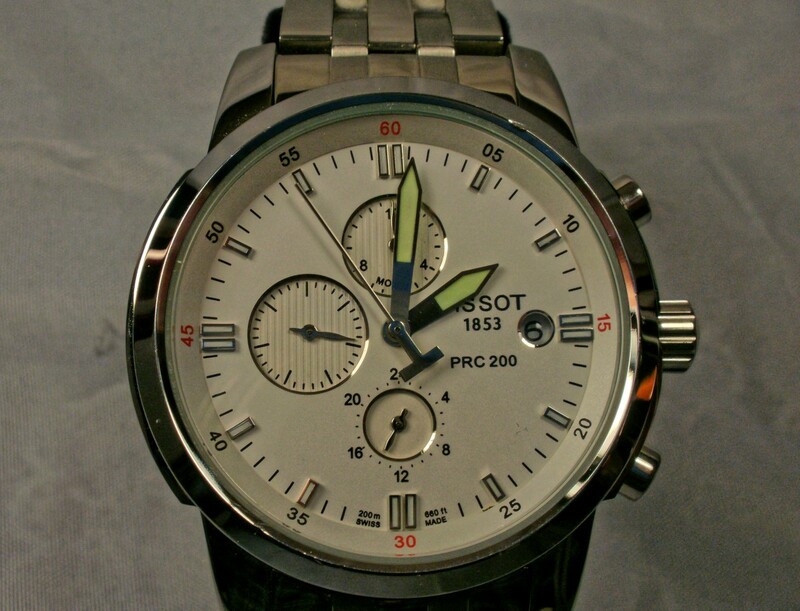 The timepiece keeps time properly but the date will change if the crown is inadvertently touched. This is a clear sign of inadequate quality control. On a positive note, the watchband is very comfortable and should last the lifetime of the timepiece. When I purchased this watch, it was clearly stated that, if I were unhappy with my purchase, the vendor would provide no more than a partial refund. I tried to obtain a replacement anyway, noting that, because of high shipping costs, I would not return the original unit. I’d anticipated my credentials as a professional reviewer would prove persuasive but, as it turns out, these credentials and a dollar are not even enough to score a cup of coffee! The vendor requested a video demonstrating my difficulty. After I complied, she offered a two-dollar refund. This, I assume, represented her profit on the sale. 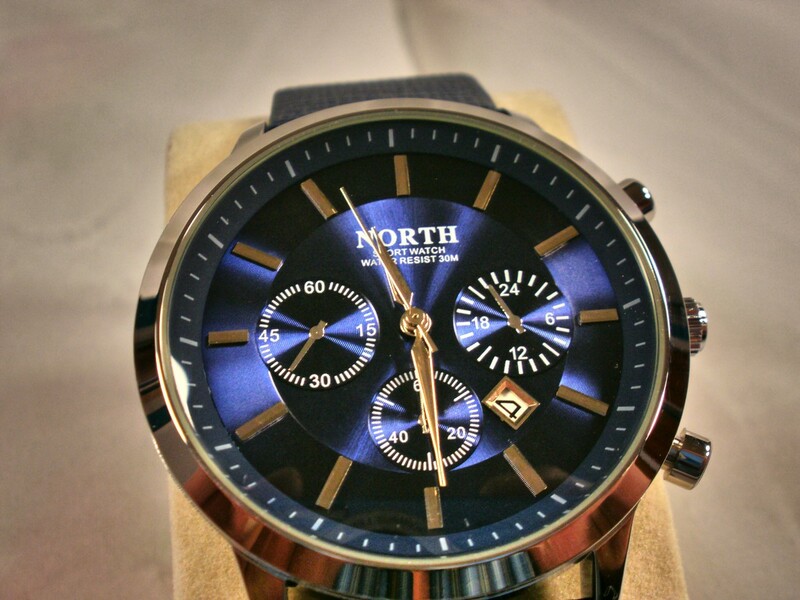 The motive behind this purchase had been a desire to acquire a watch worthy of review. Since the Curren proved to be an ideal subject, I accepted her offer. If I’d considered two dollars to be insufficient, I would have suggested a higher amount. Usually a mutually satisfactory compromise can be attained. If not, the next step would be to open a dispute with DHgate. In this case, DHgate would examine evidence provided by both purchaser and vendor and then make the final decision. 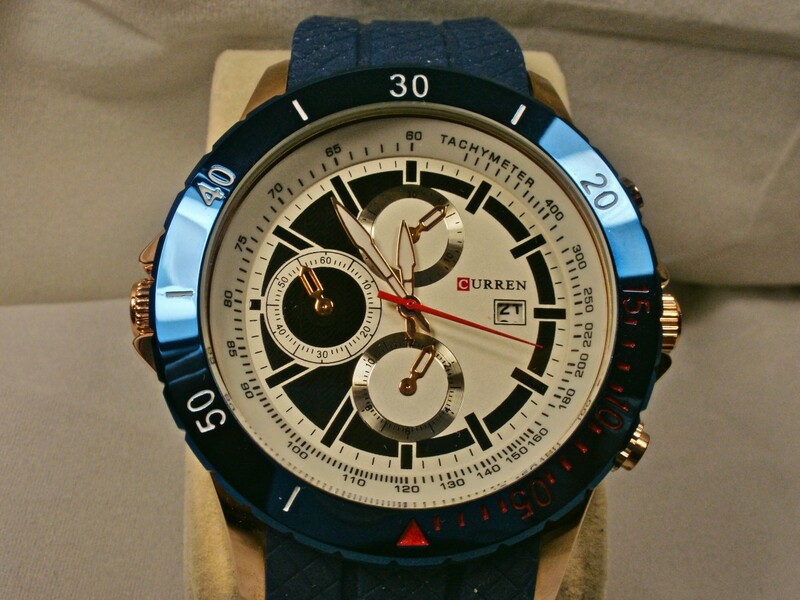 The Curren M-8143 is a great looking watch and fits comfortably around my wrist. Unfortunately, quality control procedures practiced by the manufacturer of this particular model are extremely poor. This watch is not recommended. Usually I am happy with items I purchase from overseas. Sometimes, however, I find a defective product in my mail box. Whenever this happens, I place the blame squarely on the vendor. Certainly, they should check their merchandise before dispatching them across the ocean. The vendors, working with limited profit margins, are loathe to provide any more than a partial refund except under extraordinary circumstances. They generally demand proof of damage—normally in the form of photographs—due to a wariness of unscrupulous customers attempting to game the system. When difficulties such as these arise, nobody wins. You work with the vendor and, hopefully, they will return a significant portion of your investment in return for favorable feedback. Please fill in the following survey which deals with customer satisfaction after a good deal goes sour. If an item you purchased from an internet based store were to arrive defective and the vendor proved willing to provide only a partial refund, what would be your reaction? The occasional defective product is to be expected when you consider the low costs of these items. I would not purchase merchandise from this particular merchant in future. I would never again shop at this internet based store. If you cannot expect a complete refund when the product you purchase is defective, it makes little sense to shop at outlets of this type. Thanks for your comment, Herbert. Are you having problems with the Current M-8143 that you purchased suggesting the case is not stainless-steel? the watch case is not SS, if not mistaken. it's just plated base metal. Thanks for review. I was considering purchase but suspicious of quality. Thanks for your comment, Fernand. You always take a risk when you buy a cheap watch. More often than not, however, I have been pleasantly surprised by these items. Hi, I enjoyed reading your blog. at the ned of the day, if something is too good to be true then that is true. Its wasting your money being a piece of flashy junk that will fall apart after a few weeks !! Thanks Chris. The error has been corrected. Sounds like a very big watch, 52 cm wide and 14 cm thick, I think it would fit around my waist considering the band is 22cm wide.